What is max screen time for my kids? Experts weigh in. 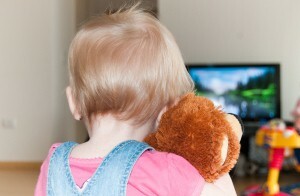 Home » Dad » What is max screen time for my kids? Experts weigh in. While it's starting to seem like they've been around forever, a decade ago, few had even conceived of devices like tablet computers, iPods or smartphones. Children born these days will never know a world without high-speed internet or HDTVs, and while these serve as valuable learning tools, they can also have a negative impact on your children's overall development. As a father, you might want to keep these media screen time tips in mind to prevent your little ones' brains from turning into mush. If you're wondering how young is too young for children to be using electronic devices, the American Academy of Pediatrics recommends that smartphones and laptops be off limits for any little ones two-years-old or younger. For older kids, limiting screen time to two hours maximum per day is advisable so you can emphasize activities like reading or playing outdoors. While it's fine to let children enjoy cartoons or computer games occasionally, you may want to supervise screen time to make sure your little ones are actually benefiting and learning from media exposure. Educational computer games and TV shows can present school and social subjects in a fun and easy-to-understand way that can aid children's overall development. Even if you see your children growing into responsible, intelligent and active individuals, it's important to keep tabs on time spent with electronic devices. You may want to set a precedent in your home (whether you have older or younger children) that watching TV or surfing the internet are rewards, not rights to be enjoyed how and whenever your kids want.